Apple is in talks with Goldman Sachs to offer loans to people buying iPhones or other products so that they can pay on an monthly basis. If the deal were to happen, it would be a big win for Goldman’s retail bank, Marcus. It would also address a big priority for Apple investors. 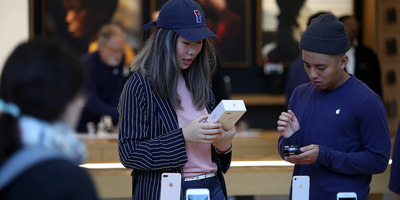 Apple customers who want to buy an iPhone on an instalment plan could soon be entering into a contract with Goldman Sachs. The bank’s consumer division, Marcus, is in talks with Apple to offer financing for iPhones and other products, the Wall Street Journal reported on Wednesday. Apple does currently offer zero-interest loans as part of its iPhone Upgrade Program, which lets people buy an iPhone over the course of 24 payments. Apple contracts with Citizens Bank to operate that program. For example, under the program, an iPhone X that retails for $US999 costs $US49.91 per month. 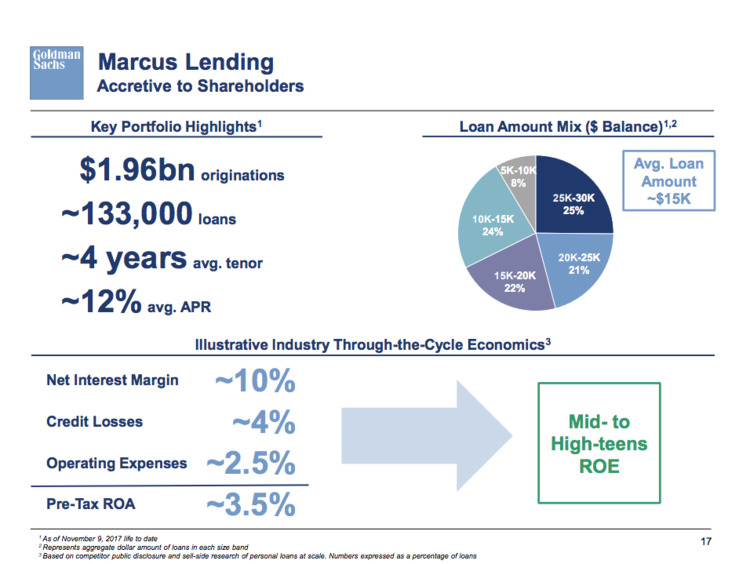 Marcus would take over some of that program, according to the report, but other details are scarce, including whether Marcus would charge interest on iPhone loans. The report carries some caveats: It’s just discussions, the deal is not official yet, and talks could still fall apart. Still, it’s a deal that could make sense for both sides as they search for growth as giants. Goldman is best known as an investment bank but the Apple deal, if it were to happen, would involve its new retail bank, Marcus, which was started in 2016. Marcus is focused on online loans and the bank sees it as a growth area. It’s still young but had originated over 133,000 loans totaling $US2 billion as of last November. The average APR of those loans was 12%. But to get even bigger, Goldman believes it needs to provide “point-of-sale” financing to shoppers buying big- and medium-ticket items, according to the Journal report. That means striking partnerships with big retailers like Apple, which have large networks of stores and millions of customers. It’s not shocking that Goldman might see if Apple was interested in its new program. Goldman’s traditional investment banking business advises Apple on all sorts of transactions, including issuing bonds. And Apple CEO Tim Cook has a direct line to Goldman CEO Lloyd Blankfein. The Goldman rumour comes at a time where Apple facilitating iPhone loans is seen as more strategic than ever. One of the headwinds facing Apple is that people are hanging onto their iPhones for longer – instead of upgrading every two years, now people increasingly hang on for closer to three years. “The replacement cycle is likely longer,” in certain markets including the United States, Apple CEO Tim Cook said during the company’s most recent earnings call. That’s why the upgrade program is so strategic to Apple: When you’ve got a loan and a contract, you’re much more likely to buy a new phone every 24 months. Additionally, Wall Street analysts have increasingly said that for Apple to become significantly more valuable, it needs more recurring revenue – moving away from Apple’s current “hit” model for iPhone sales. In fact, Apple increasing its recurring revenue is seen as so important by Wall Street that earlier this week an analyst floated an idea in the Wall Street Journal that’s been kicking around for a few years: the Apple subscription. The theoretical program would enable Apple to bundle new hardware, services like Apple Music and iCloud, and service at Apple stores into one monthly payment.